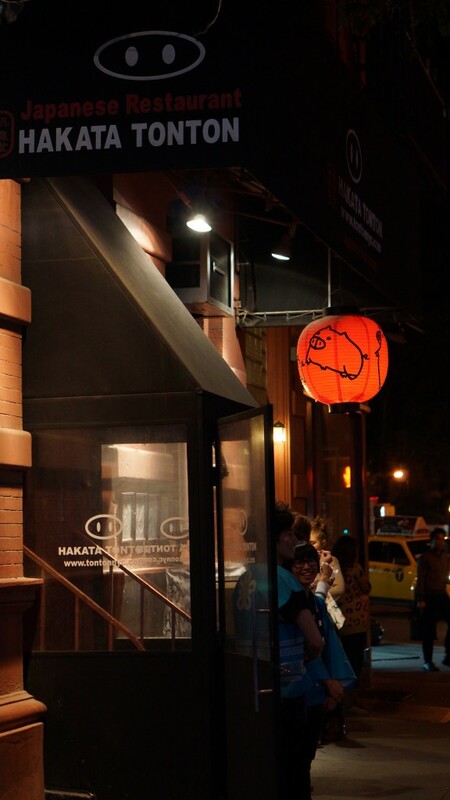 JapanCulture•NYC stopped by Hakata Tonton last night to celebrate the restaurant’s fifth anniversary in New York City. 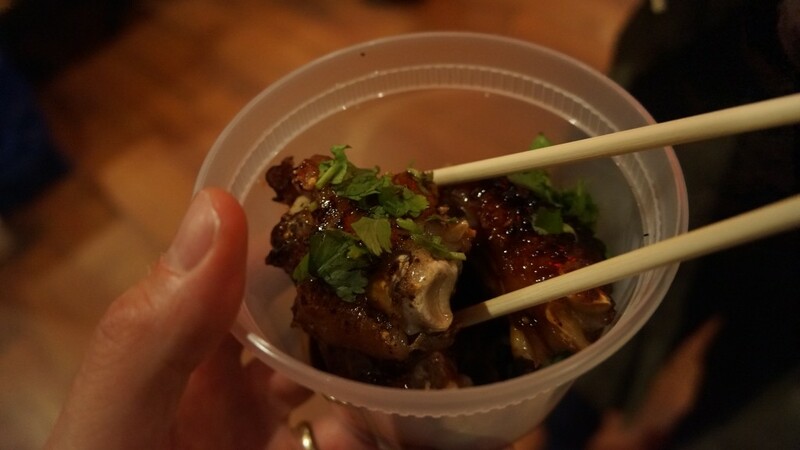 The West Village eatery that specializes in authentic soul food from Kyushu in Western Japan set up its small dining space in the style of yatai (food stalls), much like you’ll find in Fukuoka. 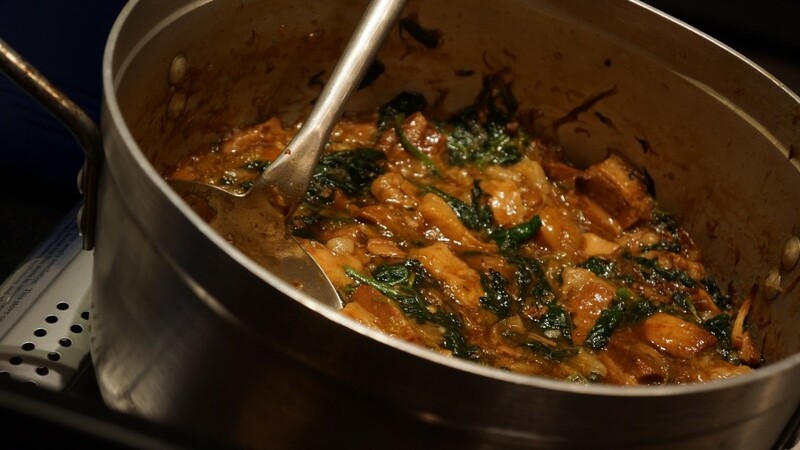 Executive chef and general manager Koji Hagihara stocked the stalls with Hakata Tonton’s signature pork-based and collagen-rich food, available for five dollars each. On the menu were okonomiyaki, a savory pancake that was topped with a sweet sauce; delectable grilled pork belly skewers; grilled pork tonsoku, pigs’ feet with either a spicy garlic sauce or ponzu; tonton pork miso pot; juicy pork bowl over rice; and the Fukuoka specialty of mentaiko onigiri, pollock roe in a rice ball. 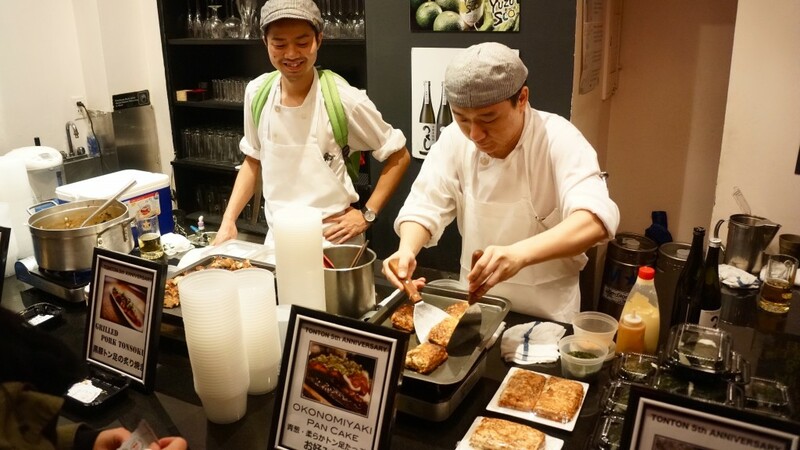 The food was a delicious tribute to Hakata Tonton’s Fukuoka roots. 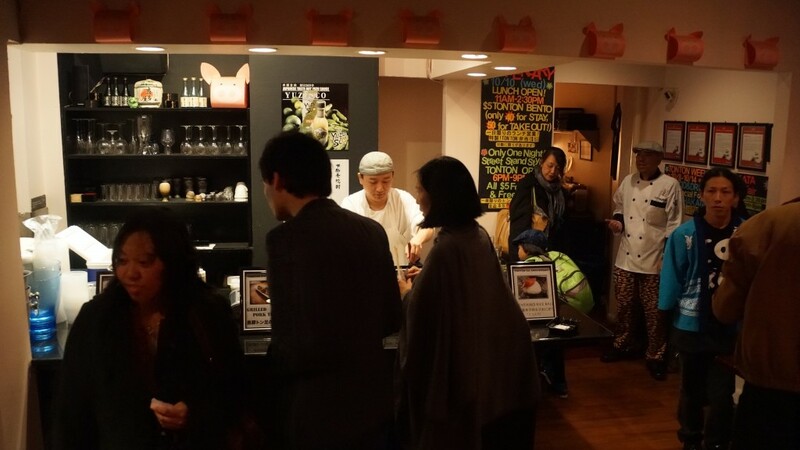 If you’re a fan of pork, you must try this Japanese restaurant. 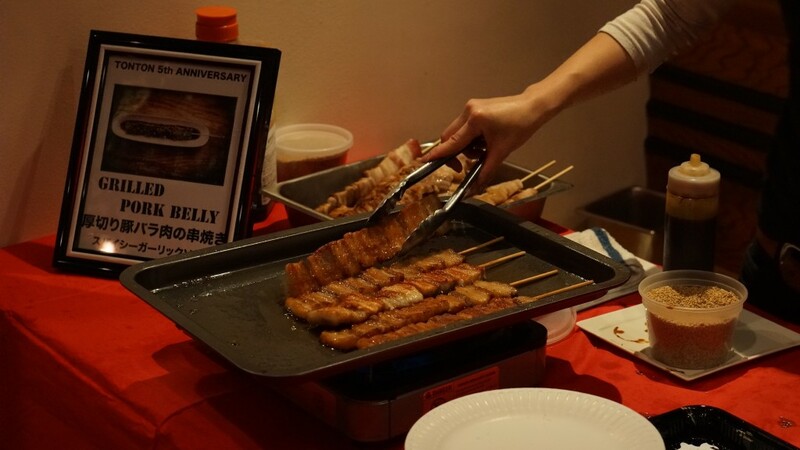 Happy 5th Anniversary, Hakata Tonton! 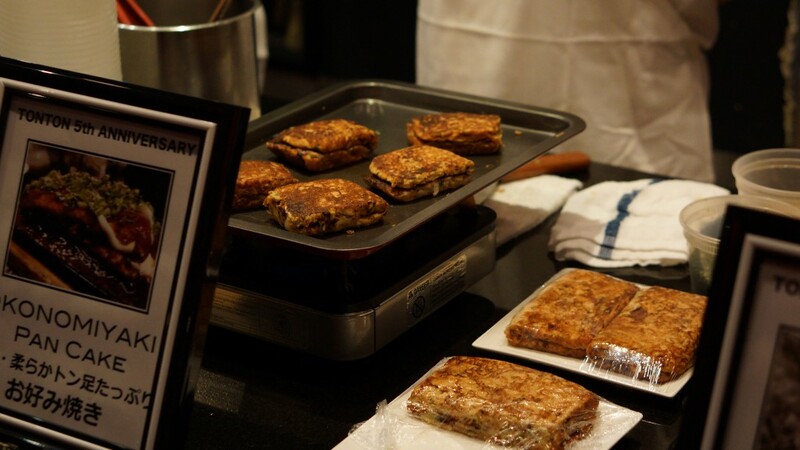 Previous Previous post: Asia Society Asks, "What's Your Favorite Asian Street Food?"